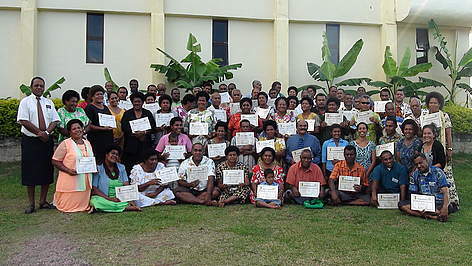 More than 50 tikina representatives of the Ba Province were encouraged to be more aware of the various developments happening in their respective communities so that they plan smartly and conscientiously to the adverse effects of a changing climate and unplanned development. In opening the target setting workshop in Namoli Village, Lautoka, the Development Planning Officer, Mr. Jovesa Vocea urged the participants to be more aware and to take the initiative to recognise and learn the various changes in their own environment and seek out ways to adapt to these challenges. “It is important for us to know that we cannot afford to work in isolation from one another. The side effect from the changes in the environment is a global concern and thus we will need to work together as a community and as a nation and share ways in which we can overcome some of these challenges,” he said. In giving an example of such challenges Mr Vocea gave a scenario where certain communities in the Yasawa group of islands are now forced to build their homes a little further inland as high tide levels continue to move further inland. The three day workshop end on June 29. 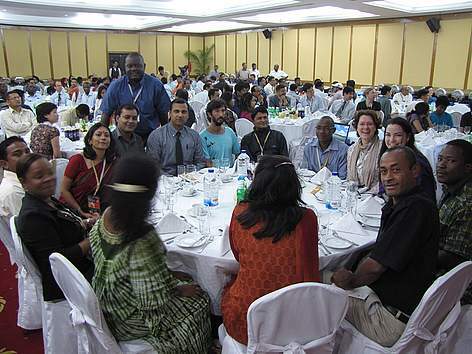 The WWF South Pacific’s, Community Development Officer, Metui Tokece attended the fifth International conference on Community-Based Adaptation held in Dhaka, Bangladesh and gave a presentation on the Climate Witness work that was undertaken by the WWF South Pacific’s Climate Change programme. Over 200 participants were exposed to the Climate Witness work done by SPPO and shared the latest developments in adaptation planning and practices among the various stakeholders and communities. The conference included policy-makers, non-governmental organisation, research and policy institutes, academic, and practitioners with a particular focus on grassroots projects and adaptation work.